Where is the Salmon Display Pond in Stanley Park? 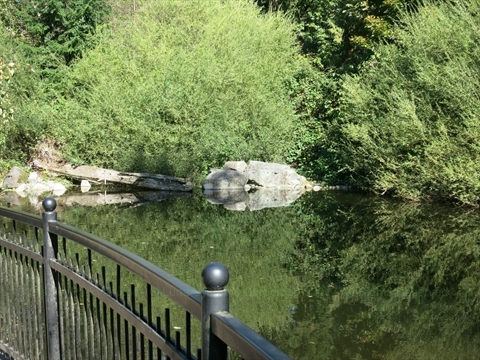 The Salmon Display Pond is located just north of the Stanley Park Information Booth. It is near the Painter's Circle and the Polar Bear Compound.